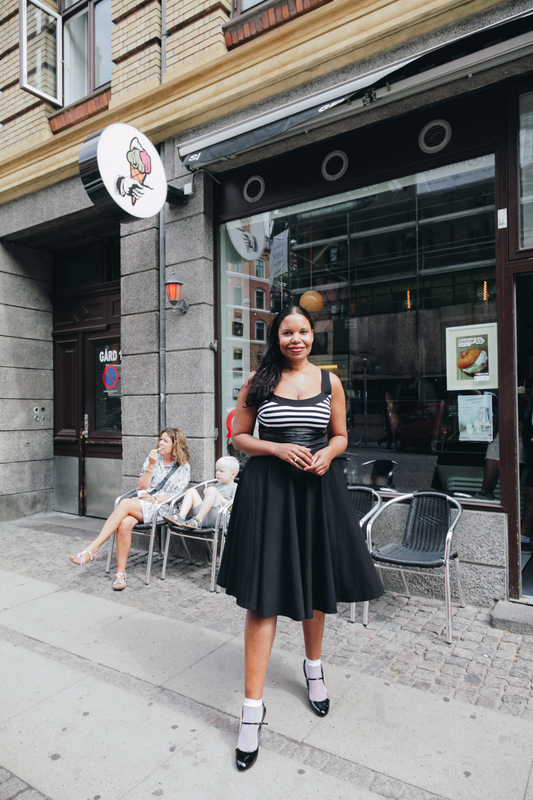 That soup bar, The Caribbean Housewife, sits on a side street in Vesterbro. Jamain shares the location with gelateria Siciliansk Is. They trade using the space seasonally; gelato in the spring and summer, and hearty Caribbean and Latin inspired food in the autumn and winter. The Caribbean Housewife focuses on traditional recipes from the West Indies and South America, including local flavors from Cuba, Surinam, and Jamaica. 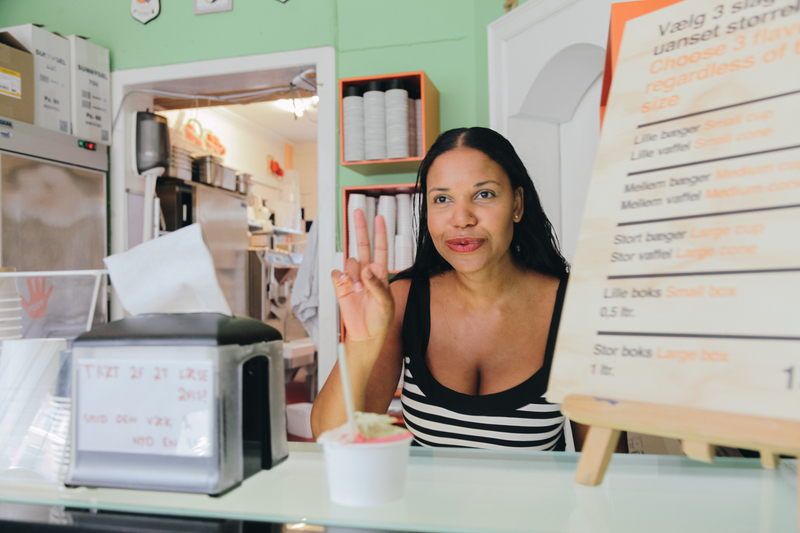 Opened in 2016, The Caribbean Housewife has grown to be a business that’s both a restaurant and a catering service during the seasons when she’s not in the storefront. She also occasionally runs workshops and courses. In addition to serving food, the space is always used to showcase international contemporary female artists. 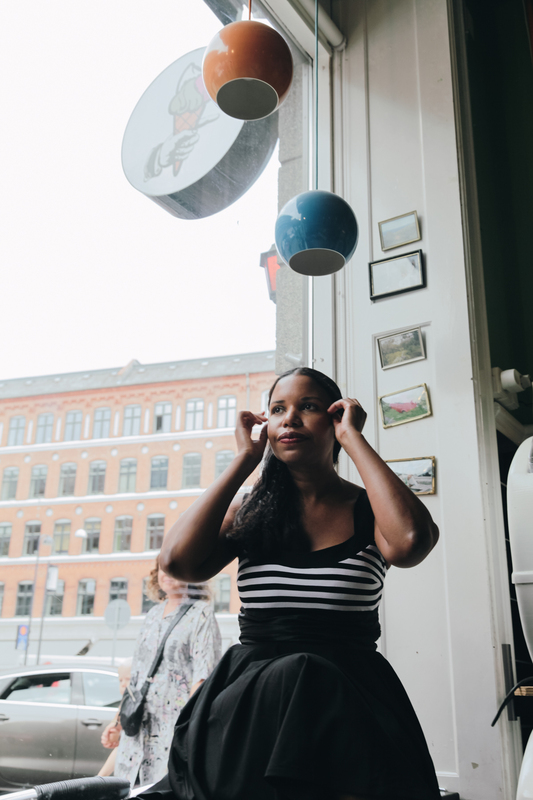 “I have a background in art and curation,” Jamain says, “and that’s something that ties into everything I do.” She came to Copenhagen in 2012 to research for her art in public spaces project, and the rest is history. “I just ended up staying!” she laughs. Thank goodness she did, because otherwise where would Copenhageners get their soup? “Danes often think of soup as something to eat when you’re sick, and not really any other time. But the soups I make are satisfying; it’s something that’s a full meal at any time,” she says. Jamain doesn’t only make soup, of course, but that’s the star of the show. Other dishes include her beloved homemade lasagna (“it sells out in a minute!” she says) and chilli sin carne, as well as lighter bites like empanadas and quinoa salad. The menu changes weekly, and it’s possible to sit in or order to take away. 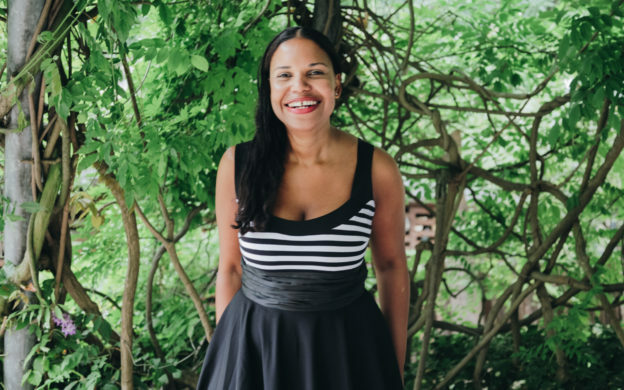 As much as possible, Jamain cooks with organic produce, and much of what she makes is vegetarian or vegan. There are gluten free and lactose free options. “I think everyone should be able to eat something delicious, no matter what their restrictions may be,” she says, “plus it’s more environmentally-friendly.” She never uses soy products, and all her takeaway containers are biodegradable. As autumn closes in and the days get colder, nothing sounds more enticing than a steaming bowl of soup – perhaps a cassava corn chowder, or a Suinamese peanut soup with plantain. It might not be the same as living in the Caribbean, but it sure will transport you there for a second. “With my soups, I can bring the sun,” Jamain smiles. 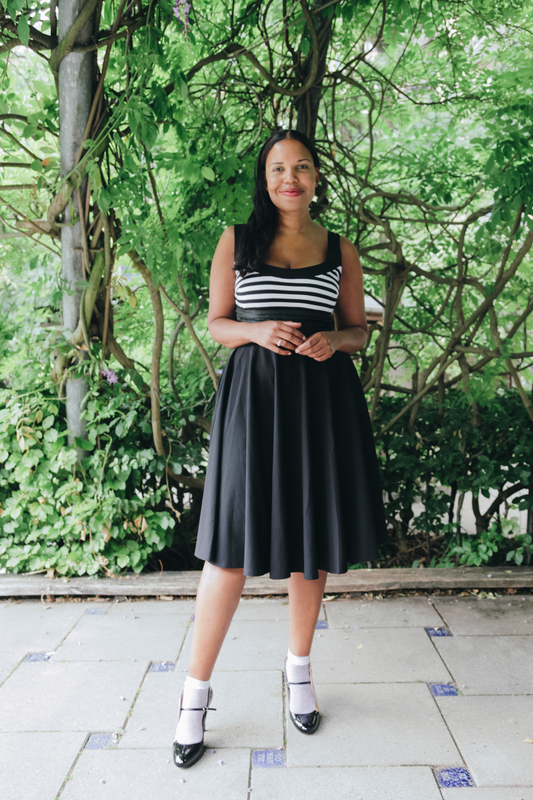 The Caribbean Housewife reopens on 5th October. Enjoy a bowl of soup and keep warm!